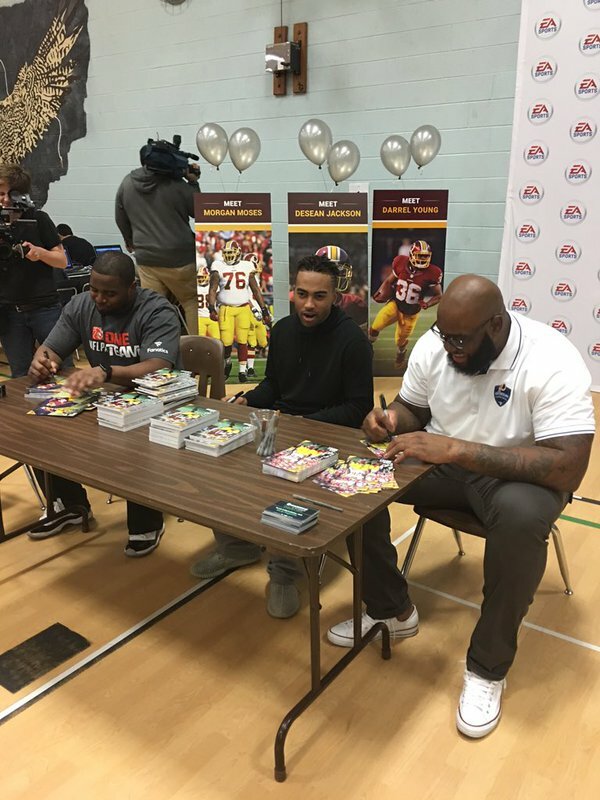 Ahmad Nassar, President, NFL Players Inc., invited several Washington Redskins, Darrell Young (FB) #36; Morgan Moses (OT) #76; and, DeSean Jackson (WR) #11 to join him at Franklin Middle School, Chantilly, VA to promote EA Sports Madden NFL: Football by Numbers, an educational game that combines football and math. Ahmad Nassar acquire the position as the new President, of NFL Players Inc, in February 2015 after Keith Gordon stepped down. Nassar joined NFLPI in 2009, most recently serving as executive vice president of business affairs and general counsel. Nassar has overseen the organization’s major legal and business initiatives, including negotiating with partners such as Electronic Arts, NIKE, Panini and ESPN. He also led negotiations on NFLPI’s landmark 10-year commercial agreement with the NFL. “I am grateful for the opportunity to serve our players, partners and staff as the next President of NFL Players Inc.,” said Nassar. “NFLPI has seen growth through partnerships as well as expanded into new and creative deals, benefiting our players, partners and the entire business of football. We hope to continue building on that momentum and branching out into other areas, including new technologies.” Nassar received his JD from the University of Chicago School of Law and graduated with distinction from the University of Michigan where he earned a bachelor’s degree in economics. Immediately following his graduation from law school, Nassar served as law clerk for the Honorable Denise Page Hood in the Eastern District of Michigan. 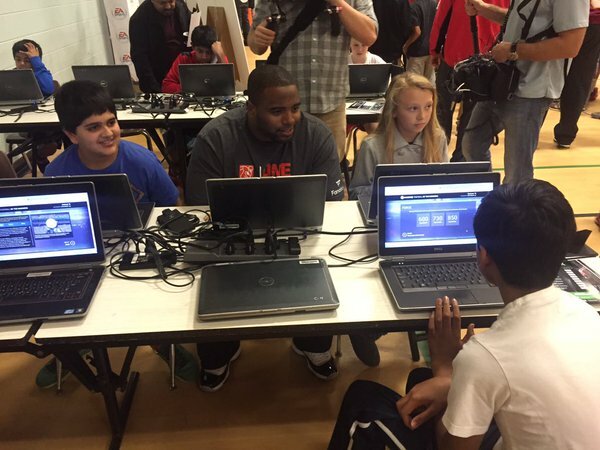 DeSean Jackson, Washington Redskins’ wide receiver, and his foundation, The DeSean Jackson Foundation, have partnered with and acquired sponsorships from the Electronic Arts Foundation and EA Sports for several years. 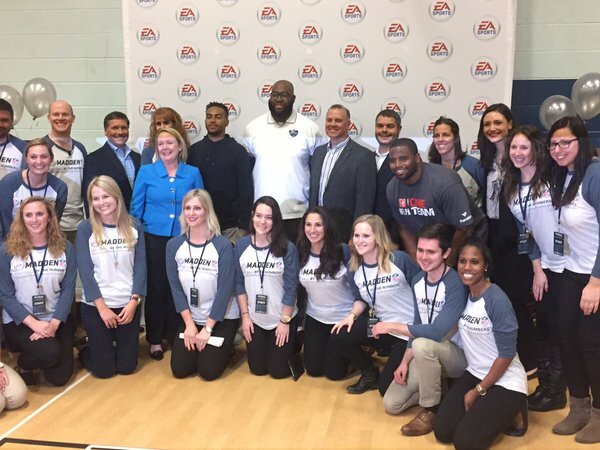 “I was honored and humbled to be selected by President Nassar to play an integral role in the launch of EA Sports Madden NFL: Football by Numbers which educates and empowers youth through cutting edge technology” states Jackson. NFL Players Inc. is the licensing and marketing subsidiary of the NFL Players Association. NFLPI has been a trusted resource since 1994, delivering access to the influence, power and personal stories of NFL players. NFLPI is a “one-stop shop” for businesses seeking licensing rights, access to players through hospitality and events, marketing strategy and player procurement. For more information, please visit http://www.nflpa.com/players.